This trolley is connected with the tractor by a pin, which is easy to be removed. The tow bar could be installed both the front and the tail of the trolley. The four wheels are connected by steel bars to assistant to the turning. This kind of trolley has been applied in many fields for transportation during the warehouse and workshop, which has been defined as cost savings, labor savings and highly secure during in use. 1) It adopts heavy duty base plate structure , turning flexible and stable and small turning radius. 2) The main moving parts are made of high strength wear-resistant alloy bushing, safe and reliable, convenient of maintenance. 3) Standard high quality iron core rubber tires, free of maintenance, and enhance the bearing capacity and service life of trailer. 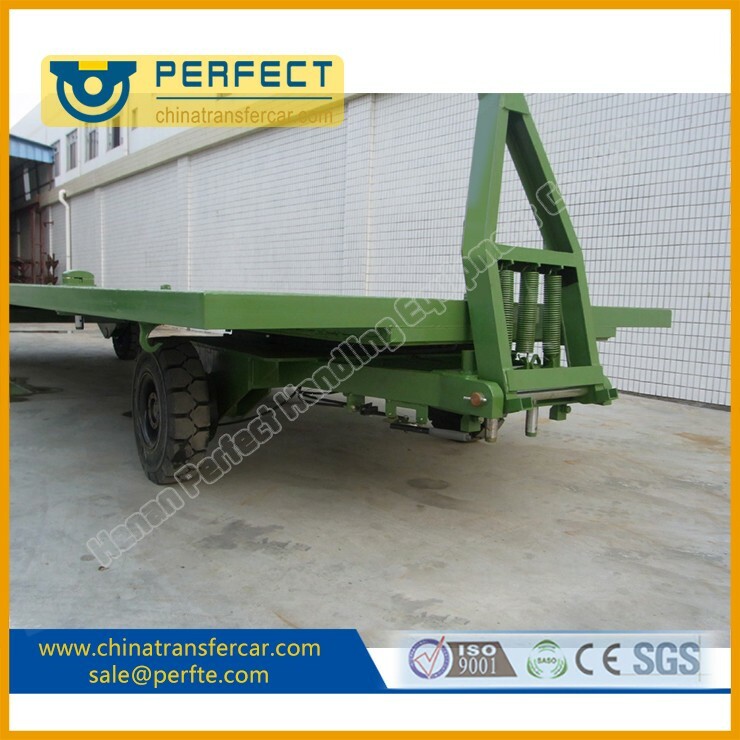 airport baggage trailer is suitable for a lot of areas, such chemical industry, household appliances, ceramics, metal, machinery, logistics and other industries. And it is widely used for short distance transport of paper making, paint, metallurgy, mound machinery and other industries. 1. 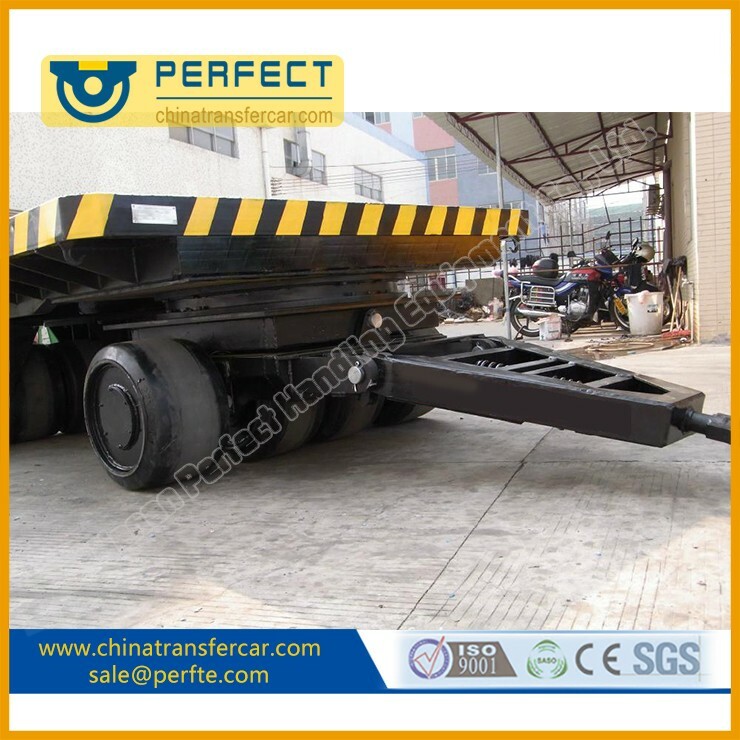 The load capacity and size of the towed trolley could be customized according to clients’ requirement. 2. The table of the trolley could install special device for transporting round steel, round log, etc.